← Summer Salads for Summer days! 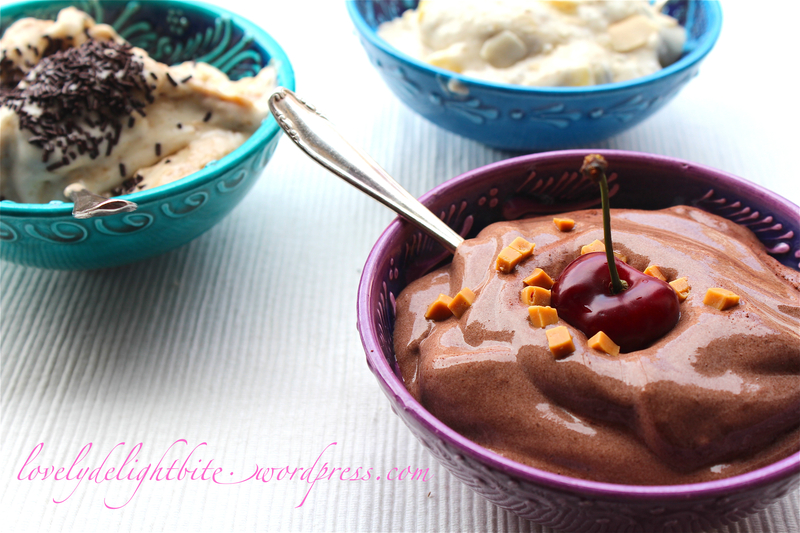 Finally I made some delicious vegan Ice cream. As I don’t have an Ice cream maker, I wanted to try this one-ingredient Dessert with soft ice consistency for a long time. And it works!!! Low Fat, No dairy and great taste. 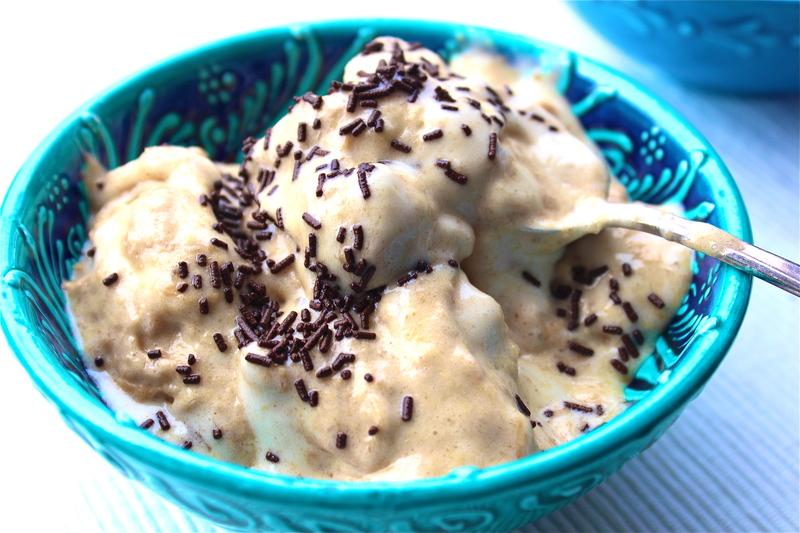 All you need is frozen bananas…..and a blender. 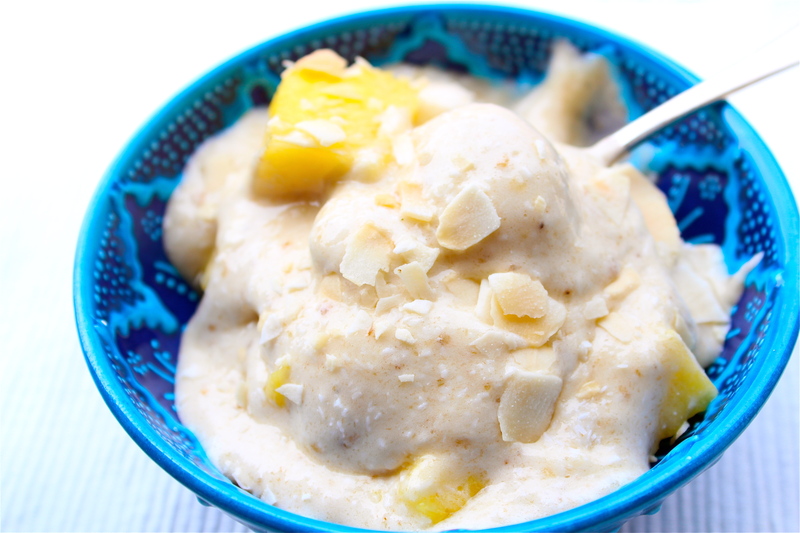 My 3 creations for today are Coconut-Pineapple Bananice, Peanut butter Bananice and Chocolate-Caramel Bananice….as soon as you’ve prepared the base you can make your favorite ice cream, by adding caramel, vanilla or chocolate, different fruits and Nuts and voila! In less then 5 minutes you’ve made your favorite ice cream! Have a lovely summer sunday! mmmh yummie! Sounds soooo good! you are welcome! And the same to you and your blog! That sounds like the easiest way to make ice cream. mmh! wow good idea with the beets! i will try that too! Just beets or a combination of beets and bananas? I used beets, avocado and banana. It needs either the avocado or banana for the creamy texture. Ja, ich bin diesen Sommer auch schon angefixt: Banane, Milch oder Soja-Creme und Kakaopulver. *Schleck*. Mein Mütterchen fand die Konsistenz etwas seltsam, aber als ich ihr gesagt habe, WAS das ist, mochte sie es auch gern. Oh jaaa….Beet Bananice! Let’s go for it! Hihihi, ja, das muss jetzt sein! @ Mommy lives clean: Thx! Oh there are so many things you can do with the banana base. It can be addicting. so true 🙂 thank you for visiting!